To celebrate the recent release of Cardfight!! Vanguard on DVD, we had a chat with Kiddo from Oz Animart to bring you a beginners guide to the ultra popular Trading Card Game. Don't forget to check out our review of Cardfight!! Vanguard Volume 1 from Hanabee which comes with everything you need to play a 'Flash' game. 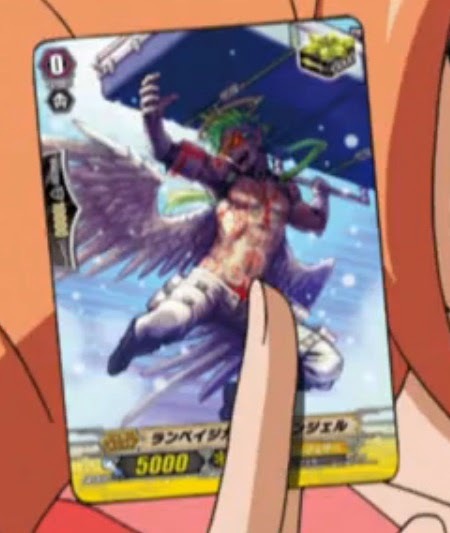 Ryan: What exactly is Cardfight!! Vanguard? Kiddo: Cardfight!! 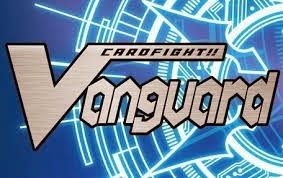 Vanguard is a recently popular Trading Card Game (TCG) made by a Japanese Company, Bushiroad. It is a bit similar to other card games such as Duel Masters and YuGiOh such as it has an anime series screening along with the card game. You can find more details about Cardfight!! Vanguard here. Do you need to have played other card games to understand Vanguard? 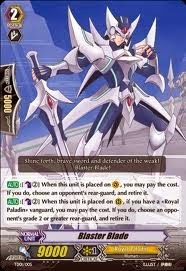 You do not have to be experienced with other card game to understand vanguard. The mechanism is rather simple, but yet fun. What is it about this game that makes it stand out from other trading card games on the market? - The Player is able to defend themselves with the cards in their hands or intercept from field. - Each clan has its own uniqueness and characteristic such as Royal Paladin which is about gathering more units onto the field for increased power while 'Kagero' retires/destroys opponents monster units. - "Trigger Check" is one of the luck elements which allows a player to counter his opponent and come back into the game. A 50 card pre-constructed trial deck would suffice. Once you're used to the game then you may start to invest in booster boxes for stronger cards to join in competitive play. For those new to the game, do you think the Hanabee anime series would be educational? The anime does help new players to understand the game, especially the first and second episodes which explain the basics of the game and also show the uniqueness of the upcoming new clans. Can I play against any opponent or do they need to be from a different "nation" or "clan"? You can play with any clan including the same clan or nation. How important are powerful cards? Can you win if you don't have a super rare card in your deck? Powerful cards definitely give players higher advantage and a higher chance to win, but a player can still win without powerful cards if they are skillful, plus triggers do help as well. What one piece of advice would you offer to rookie players? Start off with a trial deck first and slowly modify the trial deck while playing with other clans to understand how other clans work (you might find a clan that really grabs your interest). Which is your favourite Vanguard release? 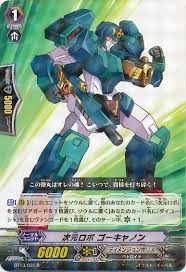 The Royal Paladin Majesty Blaster Lord Set. What can we expect from the next Vanguard release? You can expect stronger units from the new clan, link joker and other clans such as Nova Grappler, Dimensional Police, Nubatama, Aqua Force and Angel Feathers.